Malala is right about women’s education. This little girl eloquently says what we all should agree on- that girls need to be educated. She’s even been attacked for saying something that has such strong roots within Islam. Had it not been that Aisha (RA) was a scholar or that Fatima (RA) was a scholar, we would not have known explanations of many verses in the Qur’an. 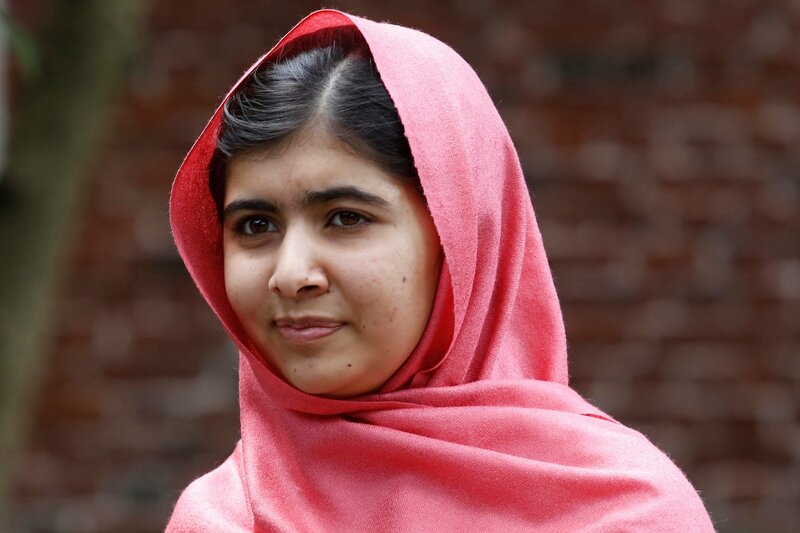 Malala deserves to be lauded within our community. Why the West is so excited about her struggle and her suffering, is an entirely different matter. The suffering of Malala will be used again and again to kill her fellow citizens and fellow Muslims- her brothers and sisters. Her story will be told every time a bomb is dropped from drones, and more hearts stop beating. Drone attacks that played a part in creating the TTP. In every newspaper, every TV channel, whenever Malala comes up, pundits shake their heads at the brutality of the TTP- an organization that their government planted the seeds of in the 80’s. A very close parallel is the brave Malalai Joya, who’s been touted before as the voice of Afghan women when she condemned the Taliban. As soon as she started demanding West withdraw from her country, Western media started ignoring her. Malala Yusufzai can make sure she will be heard, loud and clear, if she goes up to that podium and says no thank you. We have heard of the sprinkling of reports about stores named Hitler, and the utter surprise that generates in Western observers. India, after all, is a diverse multicultural democracy. Hitler goes as well with it as sushi goes with curry. Hitler has had a long and chequered posthumous life in India. Even during the second World War, the thinkers in the Indian National Congress (Party) sought to distance themselves from the Allies (Quit India movement messed up the British pretty good.) The doers, however, wanted to go further. They wanted an open alliance with Axis. Driver of this train of thought was Netaji (Dear Leader) Subhash Bose. He fled British imposed house arrest to Germany and sought a tete a tete with the Fuhrer. The Fuhrer however was not very impressed by this darker Aryan, but agreed to ship submarine him off to Japan. Subhash had better luck in Japan in persuading the imperial government to free British-Indian soldiers under his command to fight the British. He led his `Indian National Army’ to push the British Army back from Burma to eastern borders of India and wrested the Andaman and Nicober Island from the British. Then Japan became too stretched to supply him. Nobody knows what happened to him. Subhash is still hailed as a hero in India. He is quite a hot-potato in higher echelons of power- they have to maintain friendly relations with the former Allied powers but disowning him is political suicide. He would say such a thing. His ideological background- the Hindutva movement- is laced with Nazi influence. Savarkar, one of the founding fathers of the movement, wrote of his admiration of Hitler- how Hitler gave the Germans a sense of identity and pride. Savarkar even defended his treatment of Jews. Savarkar’s followers, now ardent admirers of Israel1, defend him by saying that he didn’t know what actually was being done to the Jews. Then they will go on to prescribe nuking Mecca. There are quite a few of such prescriptions on youtube. Indeed, Hindutva inspired Bharatiya Janata Party is the second largest party in India. Narendra Modi, the Chief Minister of Gujarat, widely believed to have overseen killing of nearly two thousand Muslims and the displacement of hundreds of thousands more, is the leading candidate for the BJP. In BJP ruled state of Orissa Christian converts who seek to escape the caste system are marauded like clockwork every year during Christmas. We have waited for 18 years for a verdict. I don’t remember the day the Mosque was brought down. But my mother tells me the whole town spent the night on their rooftops- looking for early warning of trouble. It was tense time in an otherwise idyllic little town. A judgment is now around the corner. And I presume (and I hope) it will conclude that the Mosque was, well, a Mosque. The lingering question is what do we do with the land afterwards? Provided we win the case. Let us consider the facts. VHP has convinced a large number of poor, Hindu villagers that that was where Ram was born. They sincerely believe in that story, because that story gives them purpose, and something to hang on to in their misery. We certainly have a right to rebuild the Masjid there. However, it will only strengthen the VHP. Poor low caste Hindus are justifiably angry at their misery, and the VHP is looking for opportunity to turn their anger against other poor, marginalized communities in India. Rebuilding the Masjid will only strengthen their (VHP’s) ranks. Then, who will use that Masjid? The surrounding lands have been bought by VHP’s temple trust (or whatever it is called), and the city is bustling with their cadres. A Masjid there will be an easy target- the desecration of a Masjid may escalate. (they will love that.) It is almost certain that a) the masjid will be desecrated, b) it will help the VHP. In this scenario, I dare say it may not even be permissible to build a Mosque at the location. I am, therefore, in favour of building something else in that location. What about building a Hospital there? No surprise here. But now we have proof. A Brazilian woman, Iara Lee, has managed to smuggle some video of the massacre on Mavi Marmara, and it shows Israelis shooting (they are claiming it wasn’t live ammunition, but I am sure that’s also a lie) and throwing stun grenades at the activists. Some of the activists are seen throwing stones using slingshots. I was trying to edit the Wikipedia article. It’s infested with Israeli trolls. We need more Muslims involved in there. It’s pathetic to see this. May Allah guide the misguided souls. There has been a flurry of suicide attacks in Pakistan in recent months. Suspicions that it is CIA that’s behind all these suicide attacks in Pakistan have been making rounds. The reason, they say, that it is highly unlikely that a religious group, no matter how fundamentalist, will never target Muslims for the fear of hellfire. Two, that the targets are tactically wrong. They de-legitimize them. Mosques, Muslims, markets. Apart from ISI headquarters, which, they argue is curiously accused of collaborating with the Tehreek. They argue that these attacks are to rile up Pakistani population so that they consent to fight against their own people, destabilize the country and then take out the nuclear weapons. US has now allied with India, they say. Thirdly, that it is impossible for the ISI to do anything independent of the CIA, given the history of the two organization in the last three decades. Whereas it is possible for CIA and other covert organizations to work independently of the ISI. However, to have credibility, these will have to be proved and not just thrown into the air. One might also ask- why is it that we mostly complain, and not do anything to mitigate the more deeper cause? Even if the CIA is doing all this, they are able to find people poor/desparate enough that they will do what they are doing. Whoever is doing this (CIA or no CIA) are doing their part. But the larger, more important question is- are we doing our part? 60% of Pakistani population are born stunted. There is a tremendous gap- monetary as well as social- between the rich and the poor. Whereas it is for the service of the poor that we are given our excess provisions for. It is not merely a Pakistani problem, although it is the most acutely affecting their society at the moment. I hope that there is a serious push towards universal education, ennglish as a second language and stronger and better local public schools in the districts. Whereas in an equal opportunity society, everyone has a stake in the well-being of the entire society. It’s one that’s much harder for anyone to take down. I wish somebody takes this seriously, and starts empowering their own society. We are as strong as our societies are, by the Will of Allah. One paramilitary soldier was killed as he tried to tackle the suicide bomber. In Karachi, Pakistan. Inna lillahi wa inna ilayahi wa raji’un. I wonder why the so called “Pakistani Taliban” is doing everything possible for people to hate them. It’s almost as if they intend to be hated. I am also surprised at that they are being described as religious.